With all the Israelis who head off for the Far East on extended post-army trips, we were pretty sure we’d meet tens, if not hundreds, of our fellow countrymen and women during our recent trek in Nepal. On the first six days of the trek, though, we met Brits, Canadians, lots of Germans, Japanese, Korean and Thai tourists, but no Israelis. Was Nepal no longer an “in” spot for the young backpacking, dreadlocked, and multiple pierced Israeli rebel? Apparently they were all waiting to gang up on us in one place, in the small village of Tatopani. They weren’t hard to spot: our “Isradar” (a term we coined for “Israeli radar”) started jumping as we reached our guesthouse where we were greeted by not a lone trekker but 15 Israelis…and their bikes. 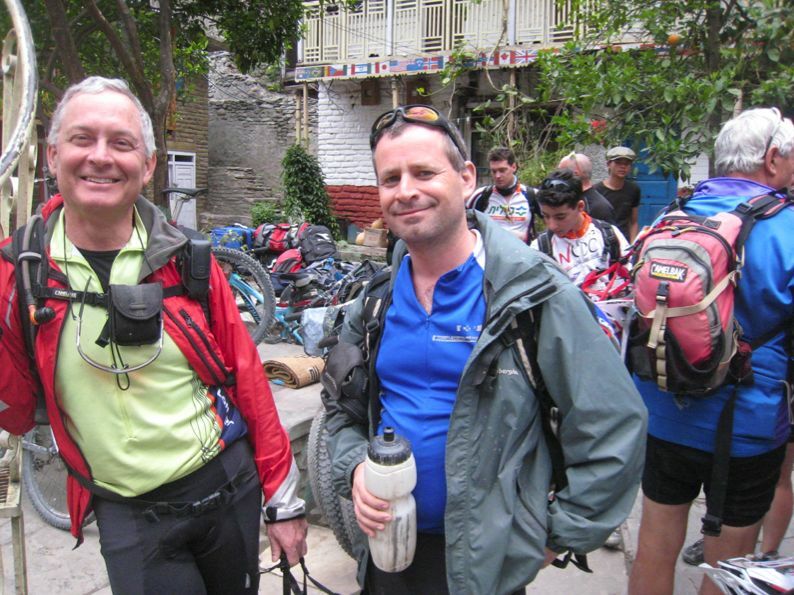 The Israeli group (a rather mature bunch of mostly 40 and 50-somethings) was on a two-week biking tour of Nepal, organized by Gur Kotzer who runs elnepal.co.il, a joint Israeli-Nepali trekking agency. I met up with Gur while bathing in the natural hot springs that have made Tatopani a Himalayan vacation get away – a sort of Ein Gedi for those who like to really rough it. Gur told me that his agency runs a whole host of adventures in Nepal, not just biking, including standard walking treks, jungle safaris and white water rafting. Gur is based in Israel, but travels to Nepal frequently. The Israelis we met were not a part of any specific riding group. They hailed from all over the country (though none were from Jerusalem) and they had brought their bikes with them all the way from Israel. The group had just biked down nearly 1,500 meters that day (some of it through a driving rain) on bumpy roads and 900-year-old stone staircases cut into the mountainside. Our paths continued to cross with the bikers. We met again at what’s arguably the “world’s largest Passover Seder” organized by Chabad in Kathmandu, and then again on our El Al flight home. Interestingly, the Israelis’ “Isradar” was working just as well in the other direction and we were easily identifiable too. This always perplexes our kids who steadfastly believe that, as North American immigrants, we don’t look outwardly Israeli. 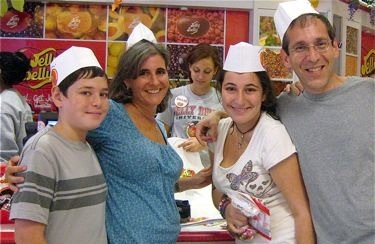 How did the Israelis spot us then? Only in Israel…or should I say, only in Nepal? 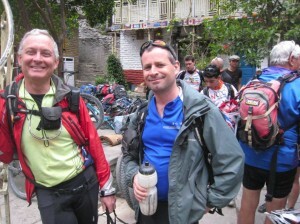 I wrote about our Nepal experience last week on Israelity. More to come! Let it be known that I really want to read this but am scared off by the length. Are there blogs on tape?